Just wanted to share a moodboard I'm working on for a brand-new blog. Two friends are coming together and starting a fashion + lifestyle blog! I was all sorts of happy when they said they wanted too use a black and white color palette! My favorite color combo ever! :) Can't wait to share more of this one! You can never go wrong with classic black/white. This is a beautiful moodboard and I love your layout. Thanks for sharing your work, I will definitely be following you! Black and white is classic! Love the moodboard and I'm sure the blog is going to look stunning! always love the classic look. can't wait to see it! This is gorgeous...black & white is always such a classic. Can't wait to see more! Black + white. Timeless + classic. Just the way I like it. Awesome blog you have here! Love it! This is great! 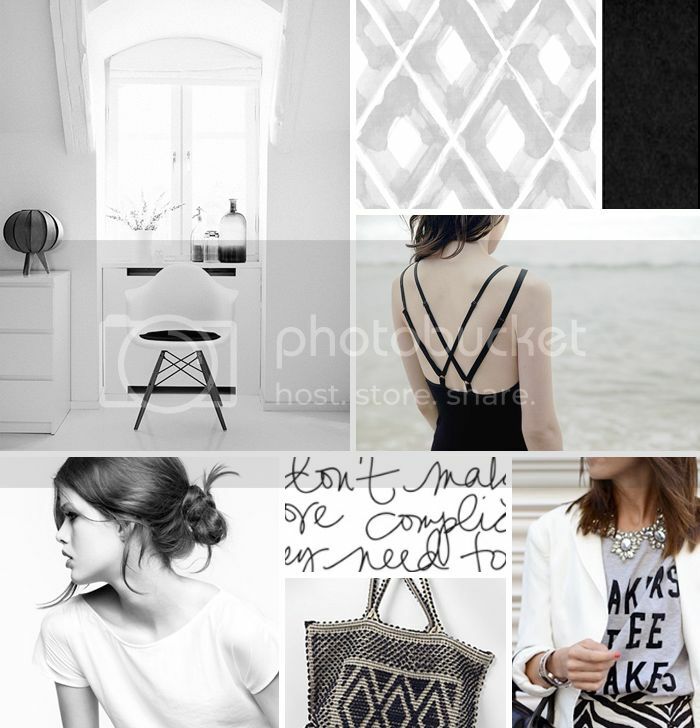 Absolutely love this black and white moodboard! Can't wait for winter to come, to fully embrace it! What a fabulous and chic looking moodboard! Can't wait to see more of your work, it sounds super exciting! Love this moodboard! Black and white are my favorite color combo too! :) Great photo pics, I especially love that one of the beach girl with the criss-cross back straps!